The emphasis of our design was to create a new trolley series which would fit our light and easy mopping system. The key benefits are flexibility, functionality and optimal size of the trolleys. We consider the process of combining floor mopping methods and trolley design as a fundamental and important element. The driver for achieving maximum overall cleaning and facilitating productivity is savings for your company. 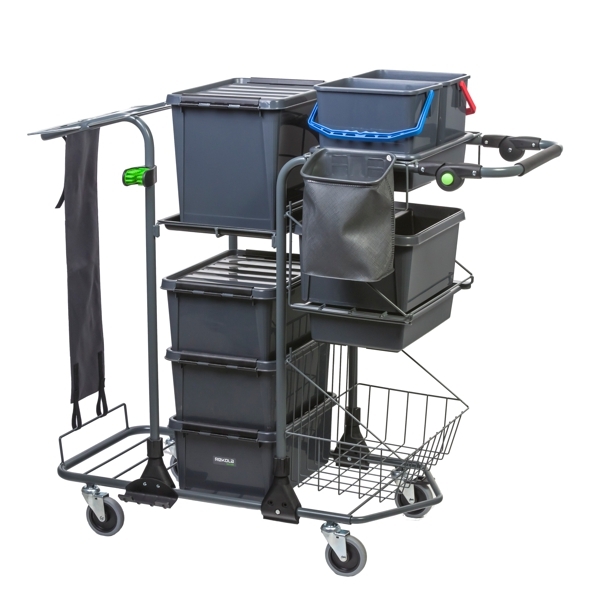 A compact but well equipped trolley means that space saved can be used for additional facilitating or storage functions. These trolleys can be used in larger areas with the necessary tools, still completing the job. Overall the Reflex/Motion combination means saving time, money and storage with the added benefit of being more efficient. Small in size but the Rekola Reflex Motion P1 is a flexible large capacity trolley which supports different cleaning and facilitating needs. With an adjustable push-bar the trolley is also flexible – build your own model to optimize efficiency with small or large projects using the Rekola Reflex mopping system and the Rekola AddOn products. 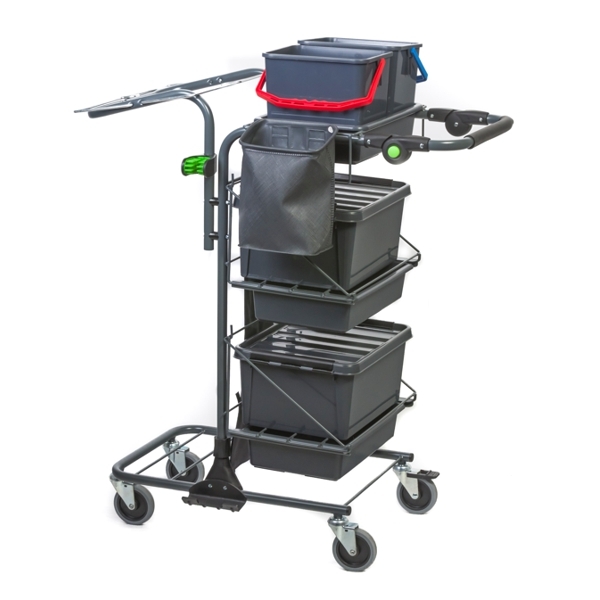 The P2 trolley is compact, highly flexible and capacious but lightweight and strong. Both models are similar in appearance but the P2 model is designed for larger projects which requires a larger capacity for facilitating functions.